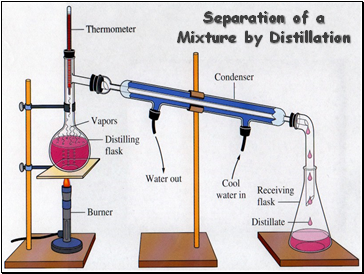 Solid – definite volume and shape; particles packed in fixed positions. 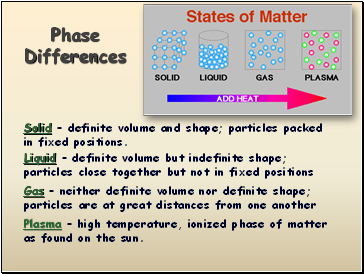 Plasma – high temperature, ionized phase of matter as found on the sun. 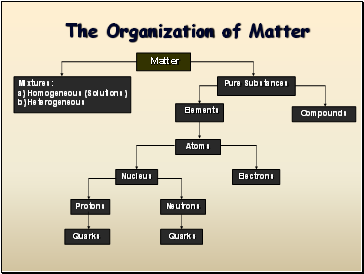 Extensive properties depend on the amount of matter that is present. 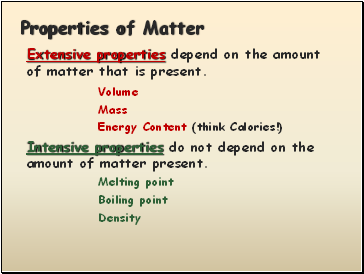 Intensive properties do not depend on the amount of matter present. 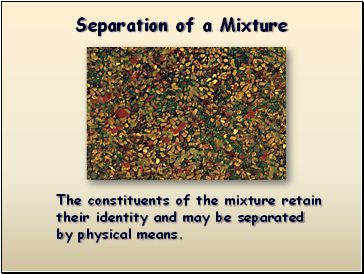 The constituents of the mixture retain their identity and may be separated by physical means. 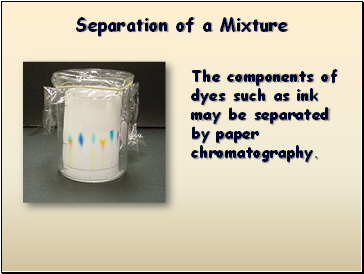 The components of dyes such as ink may be separated by paper chromatography. 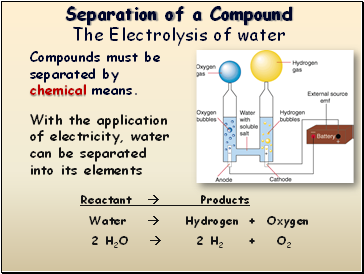 Compounds must be separated by chemical means.